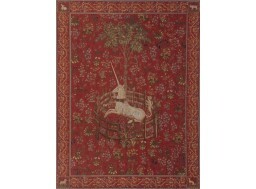 The Lady Unicorn Tapestry is a six-piece constitution from the early 16th century. 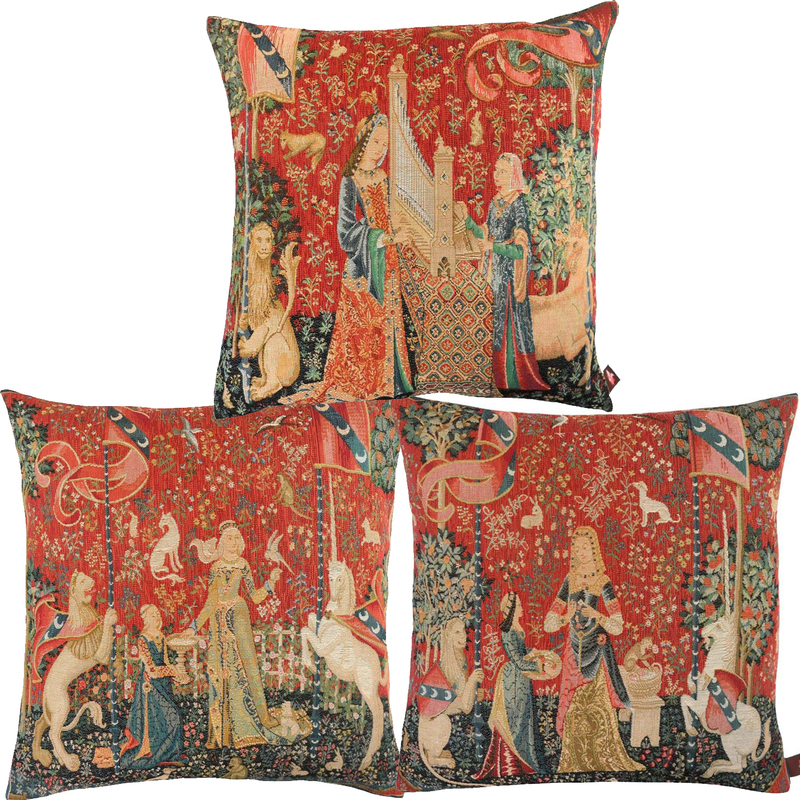 This great tapestry is a masterpiece dating from the beginning of the French Renaissance. It is visible at the National Museum of the Middle Ages at the Cluny Hotel in Paris. This composition of six hangings is inspired by a German legend. 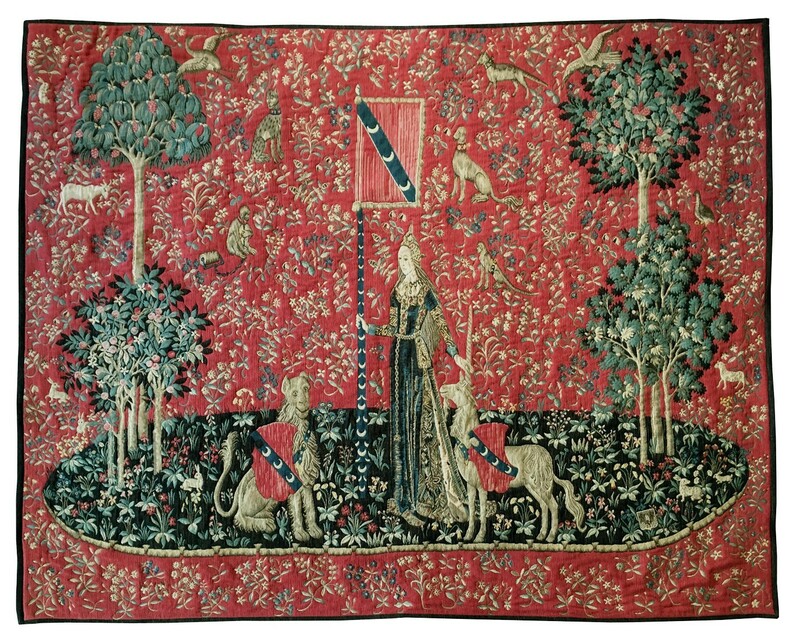 These tapestries were woven in Flanders towards the end of the 15th century. Discover "La Dame à La Licorne" products on sale on the site. 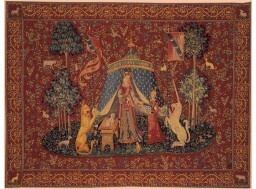 Discover all the gamm of tapisseries La Dame à La Licorne. 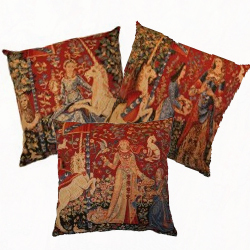 Find other cushions Lady La Licorne and accessories (throws, runner). 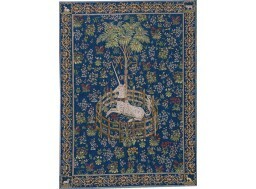 The Lady Unicorn Tapestry is a six-piece constitution from the early 16th century. 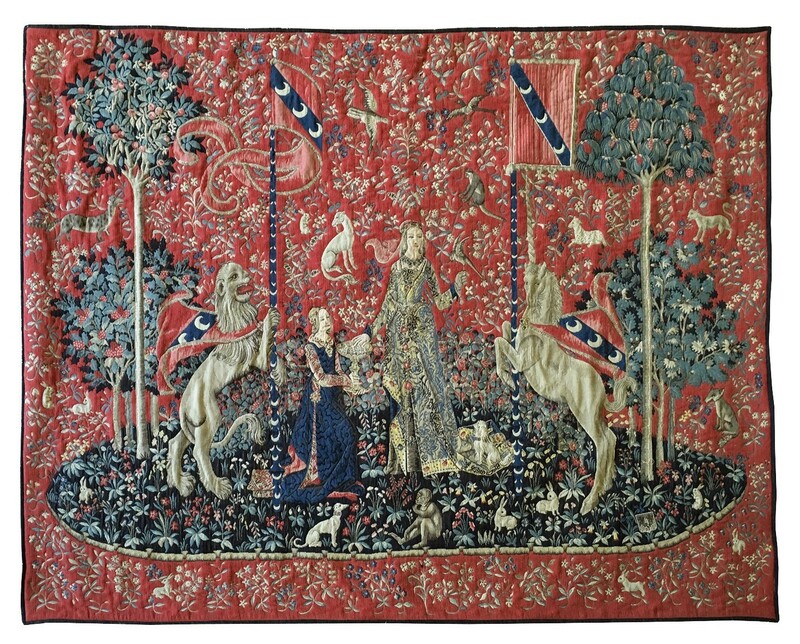 This great tapestry is a masterpiece dating from the beginning of the French Renaissance. It is visible at the National Museum of the Middle Ages at the Cluny Hotel in Paris. This composition of six hangings is inspired by a German legend of the fifteenth century. 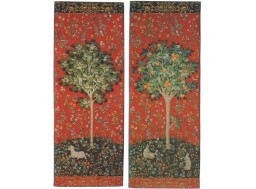 These tapestries were woven in Flanders in the late fifteenth century. The style comes from the Master of Anne of Brittany, John of Ypres (died in 1508). He was an illuminator and engraver, he worked for the sponsor, Anne de Bretagne of the Unicorn Hunt. 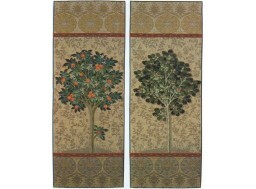 Both, from a line of painters, were inspired by this origin for the realization of tapestry cartons. 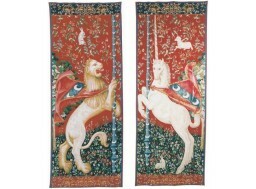 The hanging of the Lady with the Unicorn, composed of these six tapestries, is preserved at the Hotel de Cluny, in Paris, in the 5th arrondissement, in the heart of the Latin Quarter. This hotel became National Museum of the Middle Ages with Cluny Baths. In 1973, the hanging will be represented internationally at an exhibition at the Metropolitan Museum of Art in New York. 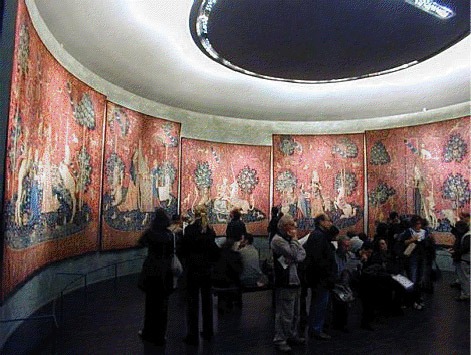 In 1992, a rounded room was inaugurated at the Cluny Museum to showcase the tapestries.